A big thank you to Paul at Time magazine for his continued support for my work throughout the New Hampshire primary. He hired me for the final two days of the primary to follow around last-place Republican nominee Jim Gilmore, the former governor of Virginia. It was a quirky but fascinating story, and I'm really happy with how it turned out. 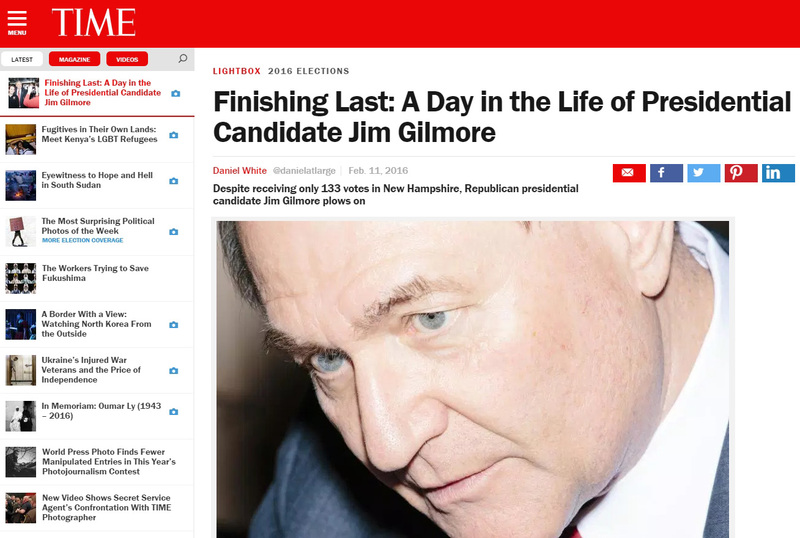 You can see the full story on Time's website: Finishing Last: A Day in the Life of Presidential Candidate Jim Gilmore.